W zakładach Jensena powstają też nadwozia sportowej wersji Austina A 40. 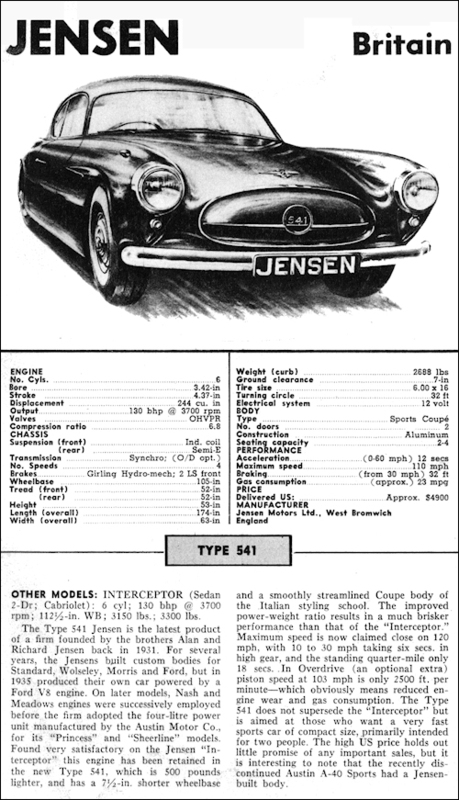 Jensen 541, an entirely new car with 4-litre engine which joined the Interceptor-continued with minor improvements-in the autumn of 1953. 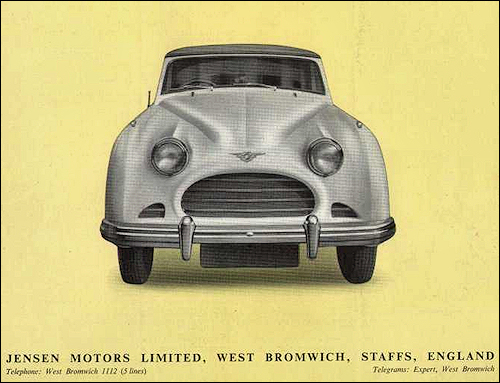 Apart from the engine/ gearbox unit, the 541 is an entirely new design. The more compact arrangement of the chassis give it a shorter wheelbase and reduced track. 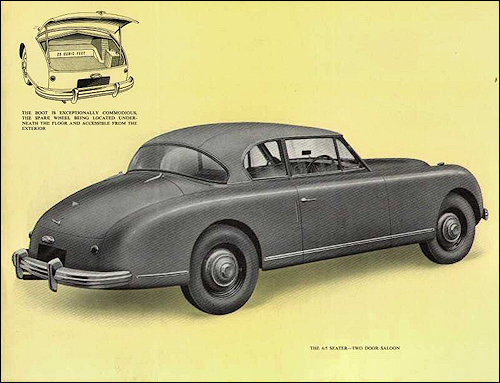 This distinctive 'close coupled saloon' feature a sleek, long, rounded body with a wide wrap-round window at the rear which give exceptional visibility for the driver. The wide oval grille is fitted with a pivoted blanking-plate which is merely a radiator shutter, albeit a more attractive and effective one. 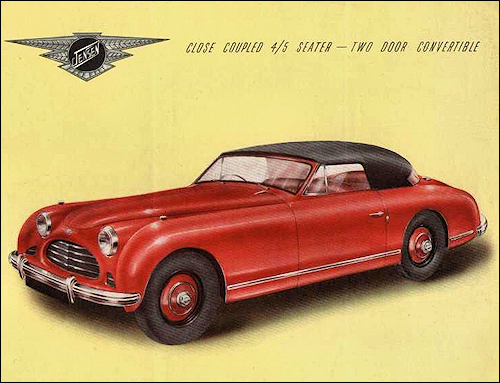 The 541 did not in fact go into production until late 1954, by which time its steel body had been dropped in favour of a glass-fibre-reinforced plastic version.